This is a re-design of a popular folding commode with added improvements that allow folding to an even smaller bundle for travel or storage. At the same time, the sturdiness and durability was increased and the maximum weight capacity is 300 lbs versus the 250 of the older model. Ideal bedside commode for semi-permanent or short term use as it can be folded and transported easily. 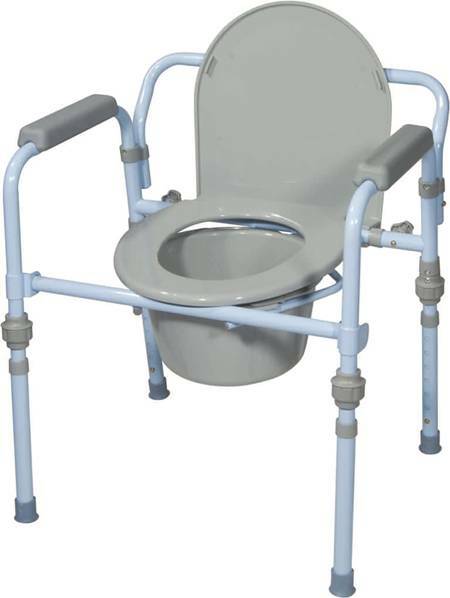 Traditional steel commodes do not allow you the flexibility of this folding commode. Click on the "more pictures" button above to view the commode completely folded. Durable and comfortable plastic seat and lid snap onto this folding commode easily. Plastic arms provide added comfort for the user. Strong and durable the commode has a welded steel construction with a blue powder paint coating. 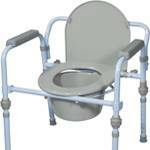 The steel construction adds far more strength than aluminum commodes. Comes with a twelve (12) quart commode bucket with easy carry handle, bucket cover and splash shield. Product weight is 15 lbs. In need of a steel commode with a larger weight capacity? Call us at 1-888-833-8875 M-F, 9-5 EST and a live customer representative will be happy to find just the right commode for you. 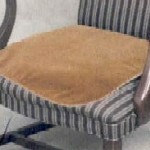 This soft, waterproof chair pad is an attractive solution to a common problem! Made of 100% polyester with a layer of poly rayon for absorption. The non-slippery protective bottom layer is impervious to liquids. 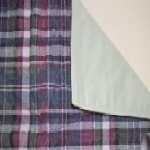 These bed pads are constructed of a lively red/green/blue quilted plaid topcloth with a waterproof backing on the reverse. The bed pad measures 34 inches by 34 inches. Machine wash and dry. 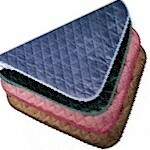 Heavy duty chair pads for incontinence sewn out of soft, upholstery like fabric. Large 21" x 22" pad holds a whole 8 ounces of liquid. Comes in four colors. This is an incontinence pad that can be used for recliners.